La mia primavera italiana comincia presto. La mia amica, Melissa, e io viaggeremo in Italia stasera. March 6th: evening flight to London, then on to Rome. British Airways just started direct flights from Austin to London this week! March 7th: early evening arrival in Rome. We are staying at Albergo Cesari in centro. We are planning day trips to Lucca and Arezzo. March 16: Return to Rome. March 17: Fly home. It’s a short trip, but it’s Italy! Here we are in front of the Mannelli Tower back in 2005. 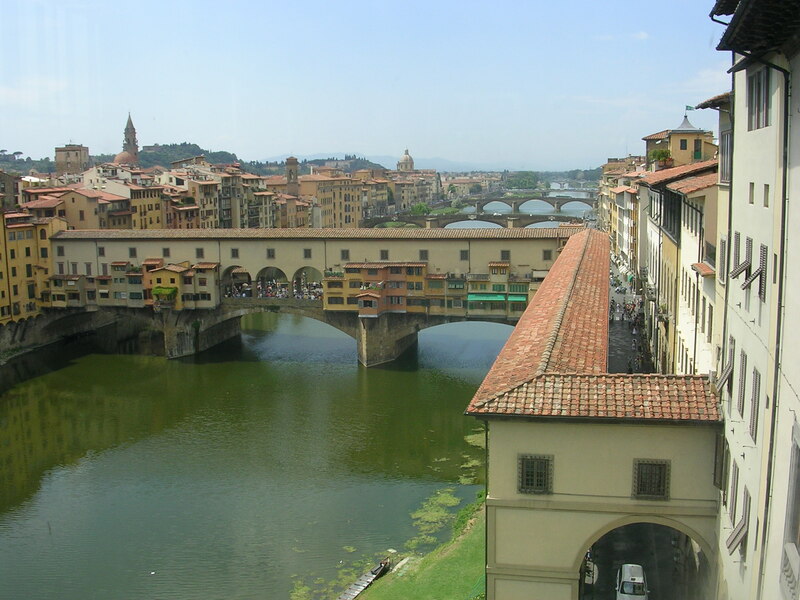 And of course here is the Ponte Vecchio with the Vasari corridor in the foreground. 3 Responses to La mia primavera italiana comincia presto. Sara–How exciting!! I am so so glad you are getting to go to Italy–even if it is a short trip! You will have so much fun showing Melissa Italy! Both your hotel in Rome and your apt. in Florence look lovely! The apt. has a tremendous view, and a nice set up–love the kitchen!! Thanks for sharing! You are such a good blogger!! How fun to have an audience again. Thank you, Jana, loyal reader. I just added some photos from 2005, but that’s the Mannelli Tower behind us. Can you believe what a baby Jack was? 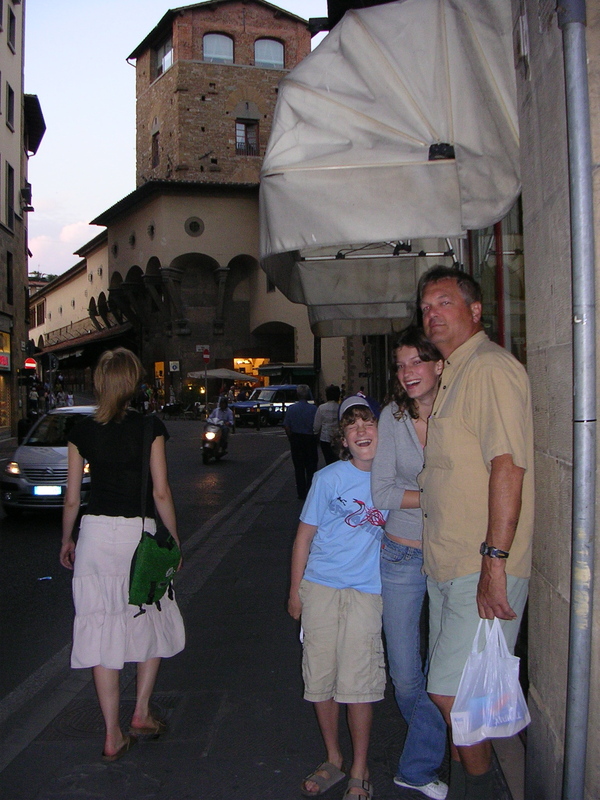 That was the first time we went to Italy as a family.